Choose your ideal accommodation throughout Europe, including bed & breakfasts, holiday rental villas, apartments & hotels. 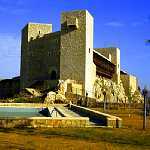 The Pousadas of Portugal and the Paradores of Spain ... often situated in historic buildings - such as former Palaces, Castles, Monasteries, Convents, Hospitals and other converted buildings, and also in more modern buildings. All offer the same high quality and comfortable accommodation - and also delightful local cuisine. 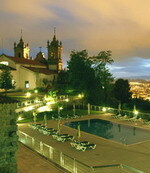 Imagine spending the night in a castle, or enjoying breakfast in the cloister or courtyard of a monastery. Sit down to a delicious traditional meal in the dining room of a Palace! Enjoy a refreshing dip in the pool whilst gazing at wonderful surrounding landscapes. It's all possible, and at very affordable prices too. Choose your ideal destination from the menus above and read interesting travel guides prior to your holidays including our popular travel blog. Sign up on All Europe Accommodation for a full web page listing on an affordable annual payment basis - no commissions payable. Bei IndienReisen.com sind hochprofessionelle Reisemanagementberater bereit, Sie mit dem Besten zu versorgen, was Indien in Sachen Reiseziele und Kulturen zu bieten hat. Hoch qualitative Reisebegleitung! Buchen Sie Ihre Individuelle Indien Rundreise mit einer Reiseagentur vor Ort und jetzt Geld sparen. Unser Auge fürs Detail ist unvergleichlich, während wir Ihre Indienreise zu einem schönen Mix aus Spaß und Zufriedenheit zusammenstellen. Kontaktieren Sie uns jetzt! There is one particular website who we believe you should take in to consideration before placing your holiday booking. Low Cost Holidays Help are fast becoming the number one place to go when wanting to compare flight and hotel prices. Visit them on lowcostholidayshelp.comand by using their comparison tools you get to scan the whole of the web to quickly find out the cheapest prices. Based in the UK (low-cost) make it easy to create the best trip at the best price. They suggest you can save up to 80% - give it a go! Do you want to start a new life in a paradise? Then Vanuatu is just the country for you! Visit http://vrp-mena.com/lang/index.php to learn more information.